Fantastic 3ATM water-resistant, 100 percent stainless steel brushed finished case with super strong mineral glass crystal and screwdown crown. Case diameter is 35.3 mm, case height is 9.82 mm, crown diameter is 5.5 mm, and watch band lug size is 18 mm. Choose from the dials we have, which can be used for ETA 2804-2 and ETA 2824-2. 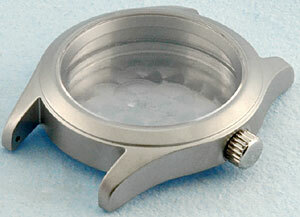 This case can use dials diameter 28.0 to 28.7 mm. 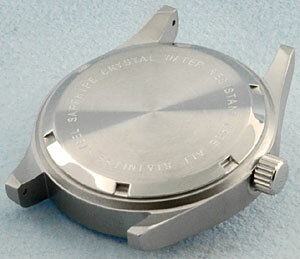 Dial opening is 26 mm. SCREWDOWN CROWN CASE with Screw Back Water-Resistant 3 ATM Case.